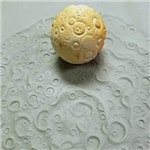 Texture Spheres are the most fun and versatile way to add texture to clay slabs and any moist clay projects. 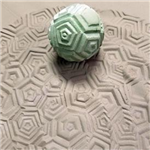 These were designed to be rolled in sand as a meditative relaxing coffee table activity but turned out to be the most amazing clay texturing tools. 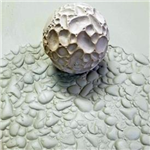 They are made of durable Hydrostone gypsum cement for thousands of hours of use. 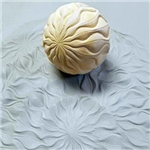 Roll them at different angles , back and forth, or in spirals out for totally different pattern effects. 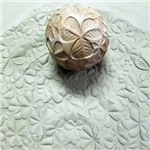 They do not stick to clay. The colors of the balls may vary. Color has no effect on the texture. There are 13 different patterns. Roll them or hold steady and use as a stamp. 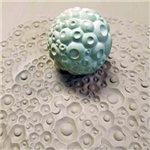 Each Moon Ball has limitless possibilities !